Why is Sprite Called Sprite? As the brand describes itself, “[Sprite] has a crisp, clean taste that really quenches your thirst.” Since the late 1980s, the Sprite brand has intermingled heavily with hip-hop culture. They positioned their brand and slogan (“Obey Your Thirst“) in such a way that drinking a Sprite isn’t only about quenching your thirst – it’s about being true to yourself and expressing yourself, just like so many do with hip-hop. Sprite also advertises heavily with the NBA, with major partnerships with Grant Hill and, currently, Lebron James. 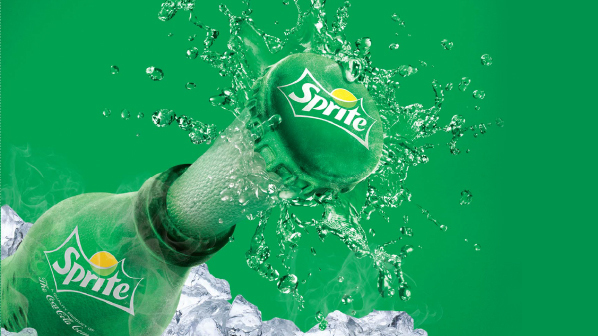 The Sprite drink and brand have come to represent youth and the “cool” factor – drinking a Sprite is a fresh expression of your individuality. Why is it called Sprite? Though Sprite feels rather American, it wasn’t first developed in the U.S. It was developed in Germany in 1959 as Fanta Klare Zitrone, meaning “Clear Lemon Fanta.” Coca-Cola was looking to introduce a lemon-lime drink to the states in response to the growing popularity of competitor 7UP. They renamed the German soda and introduced it to the United States as Sprite in 1961. In the 1980s, Coca-Cola pressured its bottlers that also distributed 7UP to up the distribution of Sprite instead. Sprite finally became the market-leader of the lemon-lime sodas in 1989 and has remained so ever since. Coca-Cola had owned the rights to the Sprite trademark since the 1940s, long before there was ever a drink called Sprite. 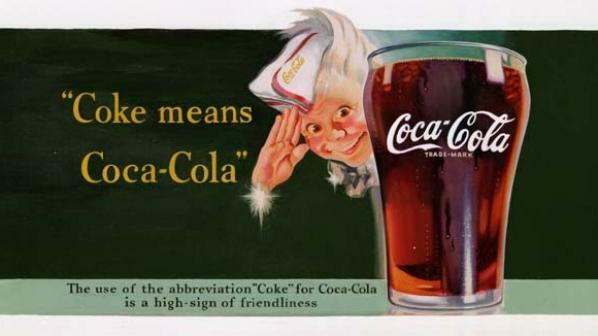 In the early 1940s, Coca-Cola started running an advertising campaign featuring an elf-like figure called Sprite Boy, who used the names “Coca-Cola” and new nickname “Coke” interchangeably in advertisements. The Sprite Boy campaign was discontinued in 1958 – three years before Sprite the beverage would be introduced. The name originated from the previous Coca-Cola campaign, but it was a focus group that ultimately chose the name Sprite. 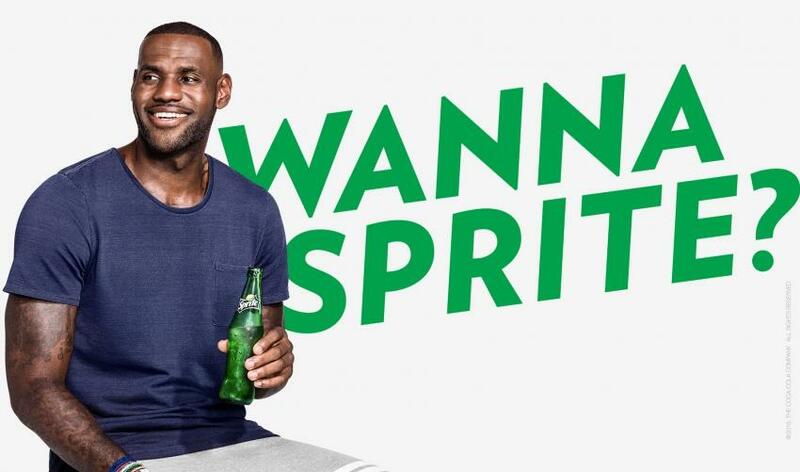 Sprite has had over 17 variations worldwide, including Sprite Zero (sugarless), Sprite Ice (minty sprite), Sprite Cranberry, Sprite 6 Mix (cherry and orange sprite, released as a collaboration with Lebron James), Sprite Tropical and Sprite Cherry. No matter the variation, Sprite is always clear, fizzy, and refreshing. 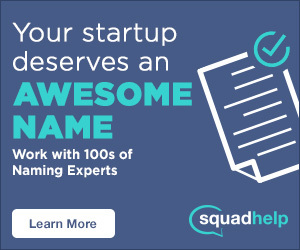 Though Sprite reigns as the world’s best-selling lemon-lime soda, fellow sodas 7-Up, Mist Twst and Mountain Dew remain prominent competitors. Do you think there’s any difference in taste among the four sodas? Or did Sprite just win when it comes to brand recognition?